Prayer: Heavenly Father, Let my prayers be effective and strong. I choose to obey this scripture in my home as well as in church so that we all may be healed as you have promised. Let me stay humble and have accountable people in my life that I can confess my weak areas to so they can pray for me so I stop being tripped up by the same snares of the devil. In Jesus’ name I pray. Prayer: Heavenly Father, Help me to hate lies that come out of my mouth. I don’t want to exaggerate just to please people but I want to please you. Thank you for cleaning up my speech. Help me to speak accurately and not fabricate stories by small margins to impress someone. In Jesus’ name I pray. Prayer: Heavenly Father, I will cast all my burdens on you and you will give me strength. Thank you for this promise that you will never allow me to be destroyed by them. Help me daily Holy Spirit never to take on cares of this life but pass them all to Jesus. In Jesus’ name I pray. Prayer: Heavenly Father, When I pick up the Bible, I want not only to read it, but to think and see myself in the scenes with you Jesus. Let me delight in your ways! Let me think on your scriptures in the morning and at night and lead my family to do things your way instead of the world’s way. I believe that whatever my hands touch shall prosper when I am following your ways. In Jesus’ name I pray. Prayer: Heavenly Father, Please take away all the branches in me that are sapping strength and not producing fruit. Purge me Lord for all ungodliness. By your pruning, I will be able to bear more fruit. I look forward to you heating up certain situations in my life to burn out the impurities, making me a finer vessel for your use. In Jesus’ name I pray. Prayer: Heavenly Father, I choose to walk by faith and total trust in you rather than by all the circumstances in my life that I see. Let me believe Jesus that you can make a door where there is no door. You can make a way where there is no way. I surrender every part of my life to you Jesus! In your powerful and awesome name I pray. Prayer: Heavenly Father, I choose to add to my faith, purity, substance, knowledge, wisdom, moderation, balance, persistence, endurance, power, reverence, compassion, love and concern for another’s spiritual well being. Help me Holy Spirit each day to grow in these areas as you reveal more of the Father and Jesus to me all the time. Thank you. In Jesus’ name I pray. Prayer: Heavenly Father, Open my eyes to help the poor and injured in this world and support them. I pray that all your churches will consider some program to provide food for the poor. Let me remember to bring an offering to church for the poor. In Jesus’ name I pray. Prayer: Heavenly Father, Help me to give anonymously so that I don’t brag about my giving before others. You see my offering and that is all I care about. I give ultimately to you not an organization or even a person as all is to be done for your glory! In Jesus’ name I pray. Prayer: Heavenly Father, I choose from this day forward to pray for my family and relatives that you will send laborers across their path to share the gospel with them so they can be saved. I thank you that all my family will be saved since you are the God of infinite love. In Jesus’ name I pray. Prayer: Heavenly Father, A little child totally believes their parents in everything without questioning or doubting. Help me to have this child-like faith in all areas of my life so that I can believe your Word and your promises without questioning or doubting. In Jesus’ name I pray. Prayer: Heavenly Father, I choose not to trust in riches nor think bank accounts and jobs will be my total source of life. I thank you that I will flourish as I serve and obey you. Let me use the abundance you give me, to help the gospel be shared with all. In Jesus’ name I pray. Prayer: Heavenly Father, I believe all good inventions are from you and I ask you to bless every good work that will spread your Word faster. I ask for Christians to have the wisdom to give all glory to you for their handiwork and not let pride, greed, or selfishness enter their minds. Give us the technology we need to take the gospel to the ends of the world showing Jesus love, forgiveness and healing. In Jesus’ name I pray. Prayer: Heavenly Father, You have a plan for success and abundance but so often I don’t listen and do it my own way. Teach me your ways of business so I can bless others. Let me stay out of debt and believe for financial miracles. In Jesus’ name I pray. Prayer: Heavenly Father, I desire to be wise in your sight. Let me listen to wisdom and always increase in knowledge as I choose to be willing to learn all my days. Let me always pray for wisdom for every issue I face. In Jesus’ name I pray. Prayer: Heavenly Father, I pray for the peace of Jerusalem and that all your plans for Israel will be fulfilled. I choose to love the Jewish people (Israelites). Show me how I can bless them and pray for the Jews to become Messianic Jews with Jesus Christ as their Lord and Savior. In Jesus’ name I pray. Prayer: Heavenly Father, Give me discernment never to be fooled by unbelief as this can stop miracles. I cast off all my unbelief, and I ask you to do mighty works around me for your glory. 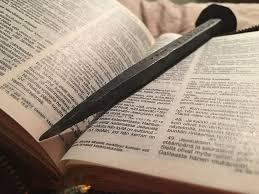 Let me increase my faith all my days by studying (not just reading) the Word of God each day listening to you as I read. In Jesus’ name I pray. Prayer: Heavenly Father, I choose to live off every word that comes out of your mouth (the Bible) and will believe that you will feed me and look after me when I serve you and am obedient to your plans. Help me to study the Bible every day. In Jesus’ name I pray. Prayer: Heavenly Father, I want you to see me as one with great faith not little faith. Teach me the authority of Jesus’ name and how you want me to act in great faith for your glory. In Jesus name I pray. Prayer: Heavenly Father, These are your 2 great commandments. I ask forgiveness for not loving you the way I should. Help me to follow them and show me your ways to love. Teach me to discern the world’s evil contortions of love so I won’t be fooled into acting in ways that are displeasing to you. I love you Father. I love you Jesus. I love you Holy Spirit. In Jesus’ name I pray. Prayer: Heavenly Father, Commitment is a very important word and I see the cost of following you is to commit myself to you totally (100%). I desire to be separate from the world of sin and to pick up my cross daily to follow you. I still need to go into the world to be a light for you. Holy Spirit, please purge me daily from the lusts of the world. In Jesus’ name I pray. ( Click on this link for more English Bible Versions: http://www.servantsforjesus.org/inspiration.aspx?b=1&d=69 ) Prayer: Heavenly Father, Teach me to give abundantly to you. Let me never be stingy or selfish hoarding up lustful riches. Give me the faith to believe that as I give, I will receive in abundance in order to give even more into your Kingdom. Thank you this scripture works as long as there is no greed or selfish motives in it. In Jesus’ precious name I pray. Prayer: Heavenly Father, I choose to believe that all things are possible with you. Just because circumstances look impossible, I know you can change them and make a new way since I need to see what Jesus would do in the situation. In Jesus’ name I pray. Prayer: Heavenly Father, Let me start reading the Bible every day even out loud. I believe more faith will come when I can hear your words in my body, mind and spirit. Thank you Jesus for getting Bible audio versions for those that cannot read as free Holy Bible audio versions are available now to download on smartphones and tablets through the internet. In your name I pray. Prayer: Heavenly Father, I know I have had some habits that cause others to stumble which is very serious as you died for them also. Please clean up my bad habits and help me to set a proper example so that people don’t go to hell on account of my actions. Purge me daily Holy Spirit of spiritual filth so that I learn to love the things you love and hate the things you hate. In Jesus’ name I pray. Prayer: Prayer: Heavenly Father, I ask forgiveness that I have not blessed you like I should. I want to praise you continually and keep you on my mind 7 days a week. Let me think of and thank you for all you have done for me. Thank you Jesus. In your name I pray. Prayer: Heavenly Father, Thank you for being such a good God, the only God. You love to pour out goodness and I receive all your goodness and mercy on my life as I dwell in your house forever. Let me meditate on this scripture more often. In Jesus’ name I pray. Prayer: Show me the importance of child raising and even if I am not a parent, teach me how to train children so that they will follow you always. Let me intercede for my family. In Jesus’ name I pray. Prayer: Heavenly Father, Let me remember how serious unforgiveness is as it can stop me from going to heaven. The slightest resentment or bitterness that I hold against others will severely hurt my relationship with you. I now ask you to forgive all those that have hurt me or spoken against me. Thank you for forgiving me. In Jesus’ name I pray. Prayer: Heavenly Father, Remind me to keep asking you questions, to keep seeking more knowledge of you, and to keep knocking on more doors of ministry for you as you answer my requests. Daily keep me praying and thanking you for Godly things until they manifest from the spiritual realm into the physical realm as I believe I receive at the time I pray. In Jesus’ name I pray. Prayer: Heavenly Father, I am strong in you and not weak. I will daily put on the whole armour of God and I will take a firm stand against all evil temptations and resist them in Jesus’ mighty name and in the power of Jesus’ blood. I will listen to you Holy Spirit for discernment understanding the spiritual battle Christians are in. In Jesus’ name I pray. Prayer: Heavenly Father, I want to praise you today and every day with my whole heart thanking you for everything especially that I am alive and that you have saved me from hell. Let me give thanks to you for the little things you do for me as well as the big things. In Jesus’ name I pray. Prayer: Heavenly Father, Let me believe I can do anything you ask me to do. As you have taught me, I now believe I can do all things through your strength that are in line with the plan you have for my life. In Jesus’ name I pray. Prayer: Heavenly Father, Since I was saved and born again by Jesus, I expect to overcome the world through faith in Jesus. I will never be defeated for you are with me always. You conquered the devil 2000 years ago and gave us the victory. You even gave us the keys to the kingdom of heaven to be used for your glory. Thank you Lord Jesus. Prayer: Heavenly Father, I see most people including you are not impressed with a bragger. Help me never to brag about myself but about you for you have given me life, breath, a heart beating every second, talents, and most important a new life with Jesus after Jesus has made me born again in Spirit. In Jesus’ name I pray. Prayer: Heavenly Father, I ask forgiveness in times past for being ashamed to bow my head before a meal to thank you for the food, in a public setting, for fear of what others would think. Let everything I do bring glory to you. Please show me if there are any ways that need to be changed in my life so that I am not a people pleaser but do things to please you to let your name be magnified. In Jesus’ name I pray. Prayer: Heavenly Father, I choose to abide in you and have your words of the Bible abide in me. I believe that when I pray, you answer, regardless of what I see with my eyes. Let me not ask for lustful things or things of the world, but things that will grow your kingdom and provide for the poor! In Jesus’ name I pray. Prayer: Heavenly Father, I love you and I will keep your commandments and remember your Word in my heart. Help me to be completely (100%) obedient to your ways. I need your help Holy Spirit every day and be filled with fullness of your love. Help me to memorize scriptures. In Jesus’ name I pray. Prayer: Heavenly Father, Your son Jesus set the example for servanthood. Teach me to be a servant. Help me to study the Bible daily so I stay humble and learn your ways to serve and share Jesus with all. I want to please you Lord. In Jesus’ name I pray.